Atrial fibrillation is rapidly assuming a predominant role in current vascular medicine. Parallel to its escalating prevalence, due mainly to the global ageing of the population, physicians world-wide and across different medical fields have joined efforts producing dramatic breakthroughs in diagnostics and the multidimensional therapeutic arsenal to this common arrhythmia. In this endeavour, we aim to cover an updated and practical overview of the whole spectrum of this disturbing hurdle. Firstly, this publication will encompass different perspectives for the same entity: atrial fibrillation, encompassing the first line approach of Internal Medicine and the mindset of cardiologists and neurologists. Thereafter, an updated look on the epidemiology that has been exponentiating the awareness on this arrhythmia with a special scrutiny to the impact on stroke units world-wide is discussed. In the next section, the main advances in the diagnostic area will be presented, ranging from the anatomical viewpoint to rhythm disturbances and embolic complications. The medical and interventional treatment will follow with critical reviews of the therapeutic outbreaks and achievements into a practical modern-day care. 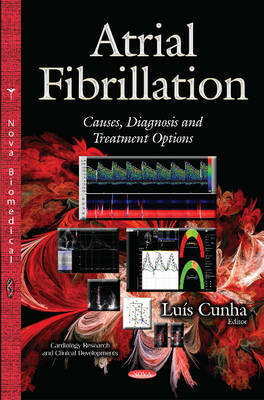 In summary, we designed a flow of contents from the burden of the disease to its approach, with the intent to provide an updated, comprehensive overview of all major current dilemmas in atrial fibrillation conceptualised for physicians from all specialities addressing patients with this contemporary clinical challenge.